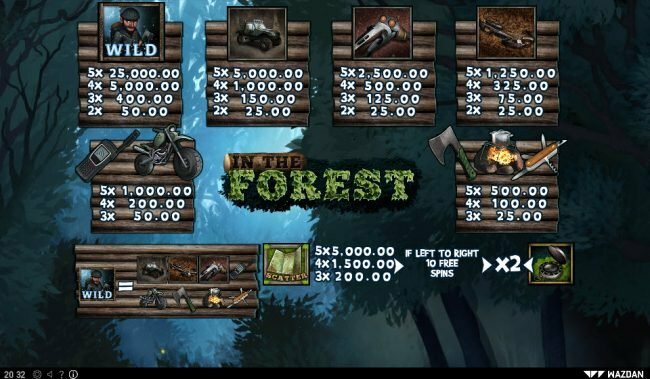 Slot review of In the Forest online slot machine thought up by Wazdan with 20 lines and 5 reels. 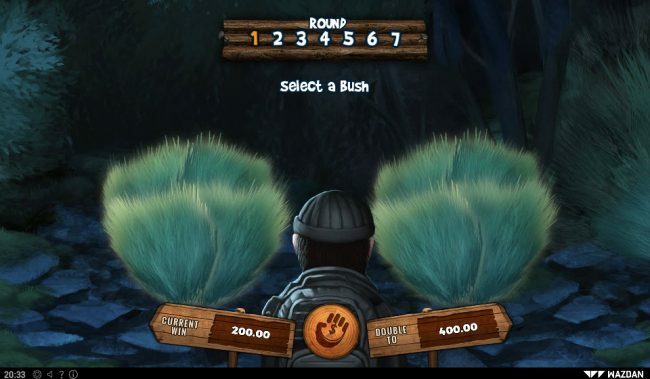 In the Forest Slots has not been reviewed yet, be the first to rate this slot. 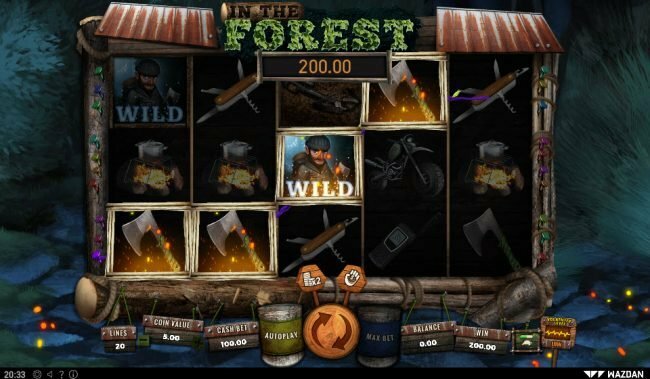 This 20 line, 5 game reel online slot In the Forest is really exceptional. 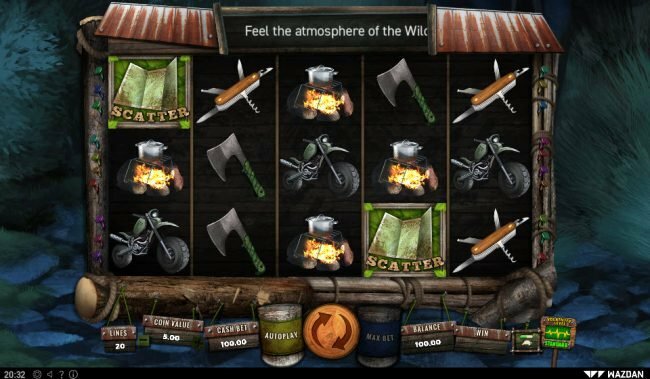 Slot icons like motorcycle, off-road vehicle, crossbow, walkie-talkie, axe, camp stove and pocket knife really conveys the main survivalist feel. Showing off we grade this Wazdan created Slot Machine 5 out of five for putting this together. 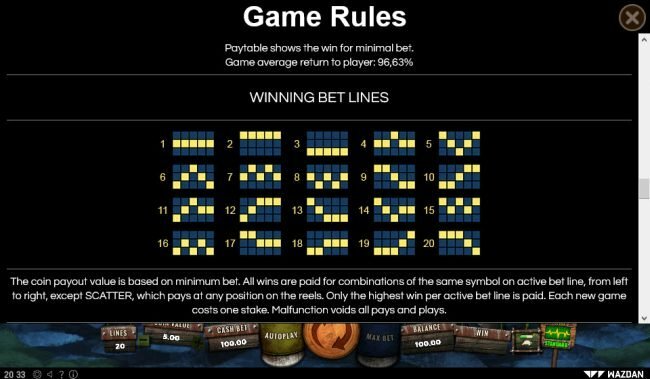 Wagering on In the Forest is easy, allowing a minimum wager of $0.01 up to a maximum bet of $200, this permits you to play at your comfort level. The wild icon of a wild will substitutes for the values of everything excluding the map scatter symbol, adding to your ability of wining a decent amount. Take note that the scatter icon on the In the Forest the map scatter, these symbols pay out if there are more than one anywhere. The special symbols can be literally scattered around the slot screen to win. 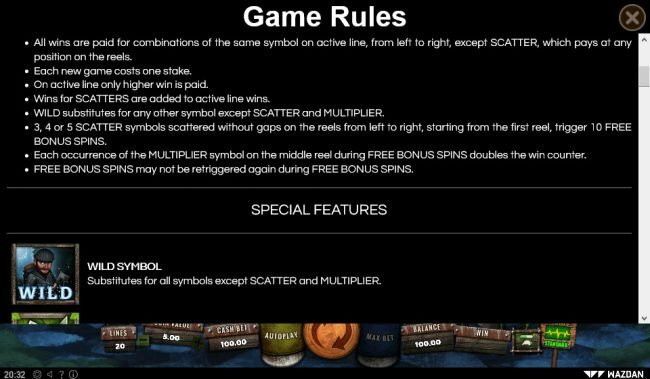 As with many other Slots three or more scatters usually starts a slot feature game. We can suggest other games like Burning Stars as it has the 5 reels like In the Forest, similar slots like Highway to Hell Deluxe and Fruit Fiesta are close also. Many of Wazdan games like this type play similarly so play some other slots as well. 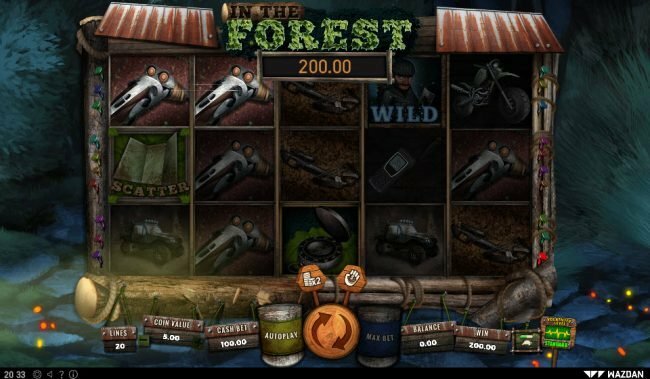 We truly enjoyed adding In the Forest, the survivalist produced Slot offers a good amount of detail that really puts you inside the game with the motorcycle, off-road vehicle, crossbow, walkie-talkie, axe, camp stove and pocket knife art and graphics. To sum it up we say that In the Forest was a good game with above average wins and images. Playing In the Forest, you can do well with wins, this is done by getting a bonus game win. Following are some detail on the Bonuses you are able to get. I love the In the Forest Free Spins and the pay outs it produces. 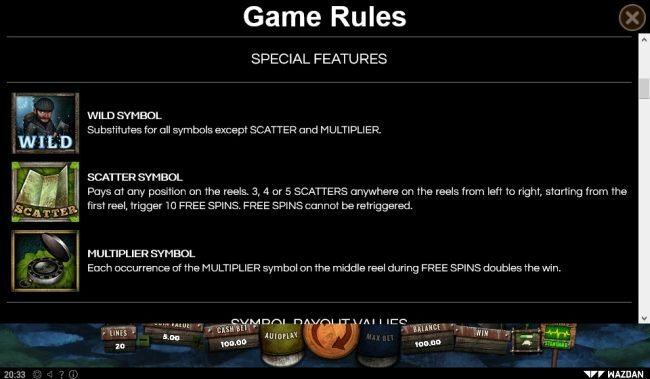 By getting three or more map scatter symbols anywhere on the reels from left to right starting from the leftmost reel this bonus round will start. 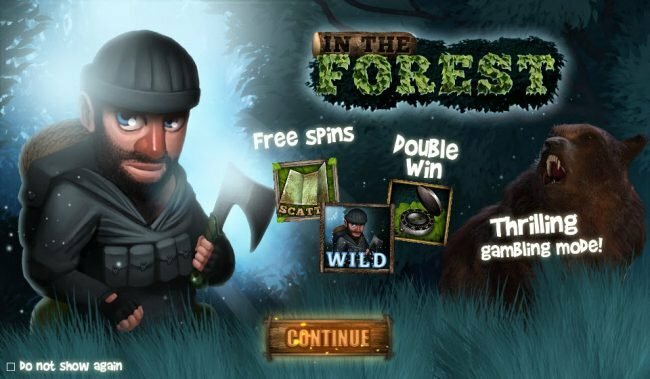 Like all bonuses, the In the Forest bonuses allows you an opportunity to score a giant Bonus win. you nearly don&apos;t pay attention to the cash balance.